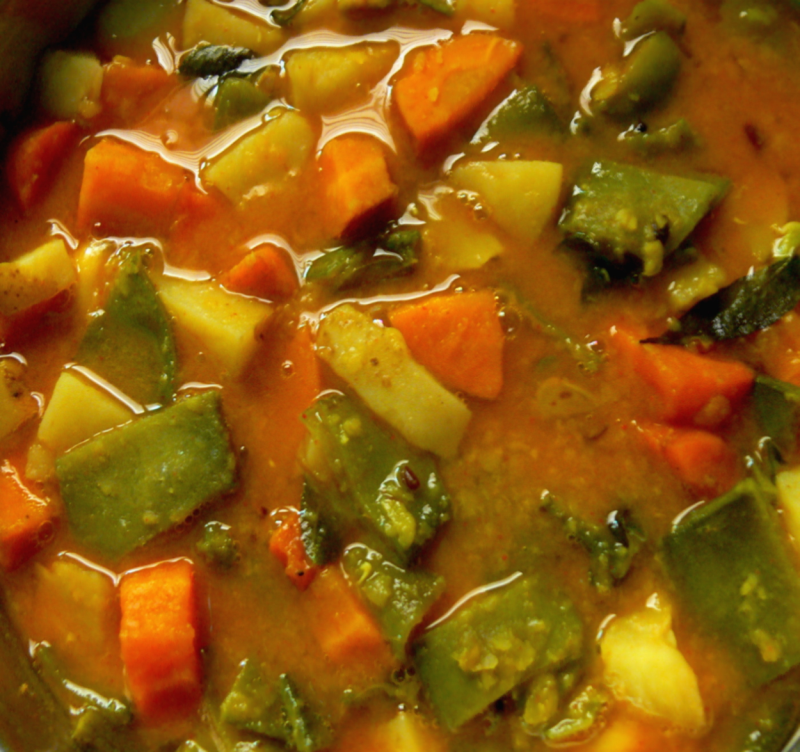 A tasty Mixed Vegetable Curry with Dhal,using Microwave Oven in 42 mins cooking-time.Very easy to do Curry to try at home.This can be taken with rice and rasam or yoghurt or Chapathi or Idli. green chillies-slit,1/4 tsp turmeric powder,few coriander leaves and 1 tsp gingely oil. Microwave this on high for 25 mins and mash the dhal. Add chopped vegetables and ground masala with needed salt and 1 cup water.Microwave this on high for 15 mins.Take the bowl out. Take another bowl and add refined oil,chopped onions,cumin seeds, mustard seeds and few curry leaves.Add this to the Mixed veg dhal curry and sprinkle butter on top. Serve this hot with rice and rasam or Chapathi or Idli.